The finance director at a Laurencekirk-based energy service firm has been shortlisted for a prestigious award by Scotland’s two leading female business organisations. 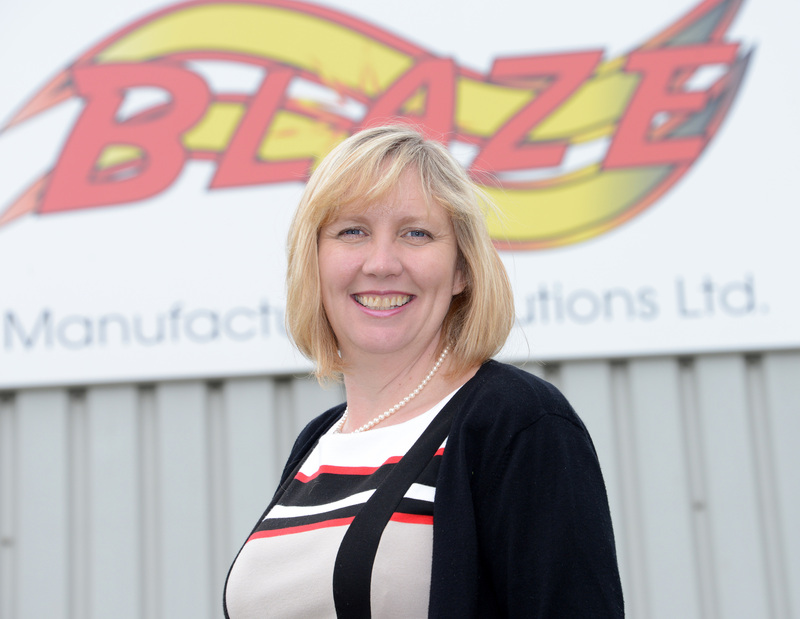 Ann Johnson, of Blaze Manufacturing Solutions, will contend for the title of Business Woman of the Year at the Grand Central Hotel in Glasgow next month. Joint hosts Business Women Scotland and Women’s Enterprise Scotland revealed the names of the finalists this week. The awards celebrate the achievements and vital contributions made by Scottish women in business. Mrs Johnson started her career in the printing industry before moving to Aberdeen with husband Howard in 1989. Before establishing Blaze, she worked for oil and gas operator ConocoPhillips for 15 years, holding several positions including a buyer role. Blaze provides fire alarm and fire extinguishing systems to clients in the oil and gas, renewables, mining, commercial and industrial sectors. In 2017, it was named as one of the top 1,000 UK Companies to Inspire by the London Stock Exchange. Mrs Johnson said: “As a woman in an engineering and manufacturing company, I am thrilled to have been shortlisted for this award.